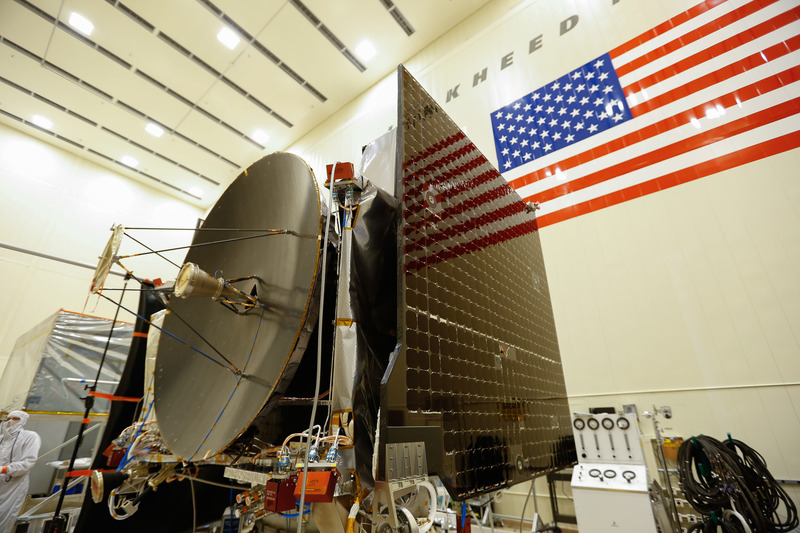 October 22, 2015 – Lockheed Martin has completed the assembly of NASA’s OSIRIS-REx spacecraft. The spacecraft is now undergoing environmental testing at the company’s Space Systems facilities near Denver. OSIRIS-REx will be the first U.S. mission to return samples from an asteroid back to Earth. OSIRIS-REx – which stands for Origins, Spectral Interpretation, Resource Identification, Security, Regolith Explorer – is going to Bennu, a carbon-rich asteroid that could hold clues to the origin of the solar system. Over the next five months, the spacecraft will be subjected to a range of rigorous tests that simulate the vacuum, vibration and extreme temperatures it will experience throughout the life of its mission. Specifically, OSIRIS-REx will undergo tests to simulate the harsh environment of space, including thermal vacuum, launch acoustics, separation and deployment shock, vibration, and electromagnetic interference and compatibility. Scientists expect that Bennu may hold clues to the origin of the solar system and the source of water and organic molecules that may have made their way to Earth. OSIRIS-REx’s investigation will inform future efforts to develop a mission to mitigate an Earth impact of an asteroid, should one be required. NASA’s Goddard Space Flight Center provides overall mission management, systems engineering and safety and mission assurance for OSIRIS-REx. Dante Lauretta is the mission’s principal investigator at the University of Arizona. Lockheed Martin Space Systems near Denver is building the spacecraft and will provide flight operations. OSIRIS-REx is the third mission in NASA’s New Frontiers Program. NASA’s Marshall Space Flight Center in Huntsville, Alabama, manages New Frontiers for the agency’s Science Mission Directorate in Washington.